Try our product look up tool to assist you in learning which legal entity to issue your purchase order to. Certified clean environmental sample containers. Offering all the containers you need from certified clean containers to unassembled containers and caps ready for your own preparation procedures. What if your "allergies" are not really allergies? You have symptoms. Exhausting, irritating symptoms. You may not have them because of allergies. In-situ screening with handheld Thermo Scientific Niton XRF analyzers provide rapid, qualitative, and semi-quantitative soil testing results to quickly profile contaminant levels and determine remediation boundaries with surgical precision. Empower your plant sciences research with advanced instruments, reagents and technologies. manufactured product to offer the best solutions for your research. 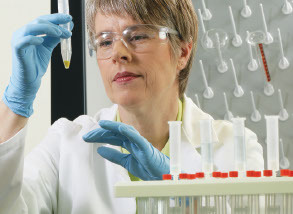 Thermo Scientific delivers the broadest range of equipment and consumables you need, plus worldwide support and industry expertise that can greatly enhance your productivity. Understanding the seven keys to protecting your cryopreserved cells can equip any lab with the knowledge necessary to ensure sample safety and optimal cryopreservation results. Learn about Thermo Fisher Scientific and see how we're enabling customers to make the world healthier, cleaner and safer. Use our online search or send an email with the item code and item description and we will send you the corresponding SDS. Use our online search or email us the item code & batch number and we will send you the corresponding certificate. Send an email with the item code and item description and we will send you the corresponding certificate. We want to hear from you. So do your colleagues in the scientific community. Together, we can find a solution. Australia | Terms and Conditions | Privacy Statement | Visit our corporate site | Careers At Thermo Fisher Scientific | © Copyright 2015 Thermo Fisher Scientific Inc. All Rights Reserved.